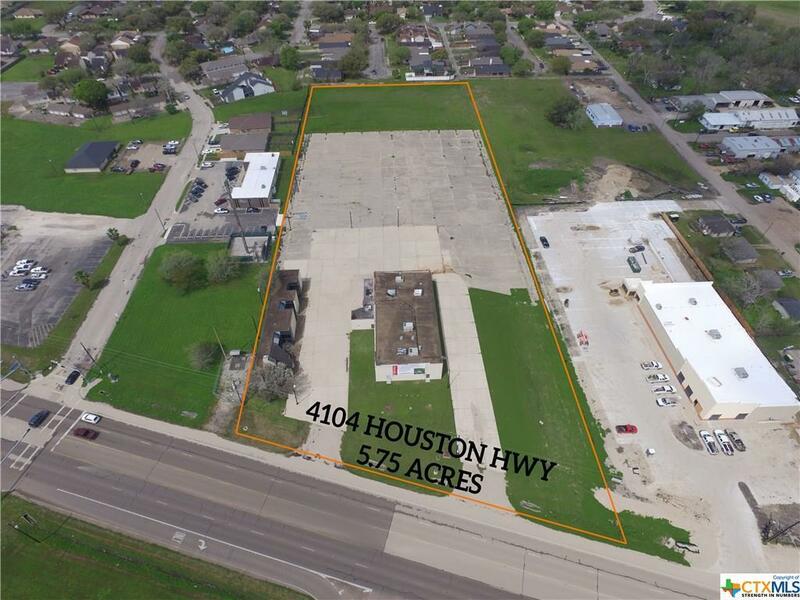 If exposure is what you seek, 4104 Houston Hwy is nearly 6 acres of prime property located on the Houston Hwy. 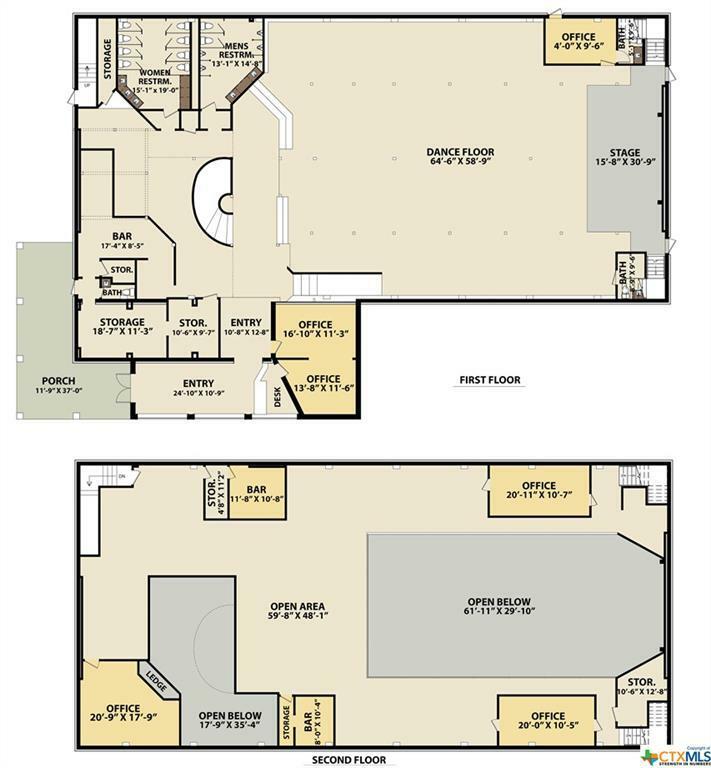 With a traffic count of over 15,000/day, this property comes with an 18,389 SQ FT building that can be built to suit. Complete with over 110,000 sq ft of concrete pavement, this property has plenty of space for parking! Pad sites are also available. 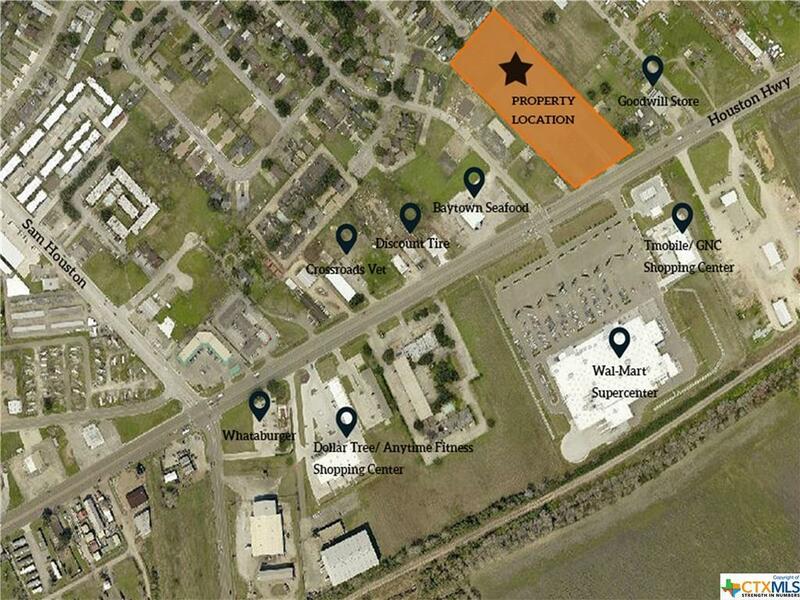 4104 Houston Hwy is located directly across the street from the new Wal-Mart and is less than 1.5 miles from Loop 463, UHV. VC and Citizens Medical Center.